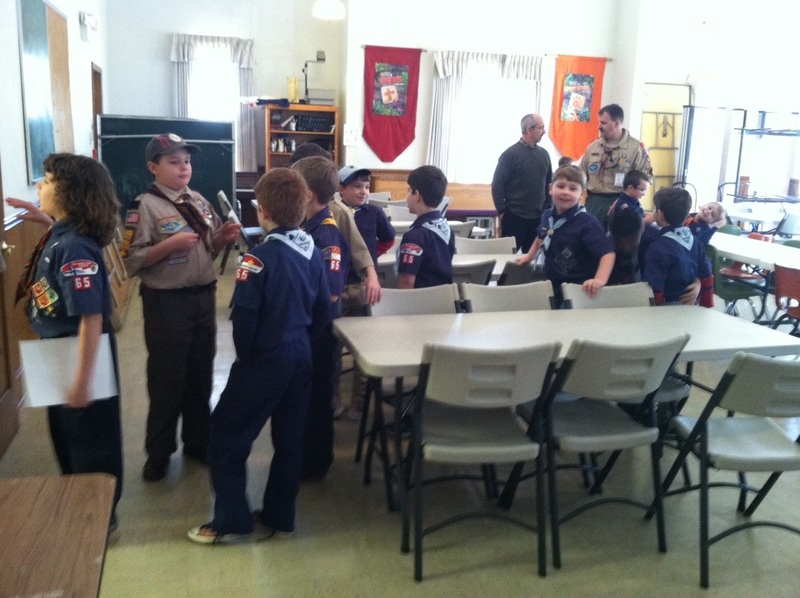 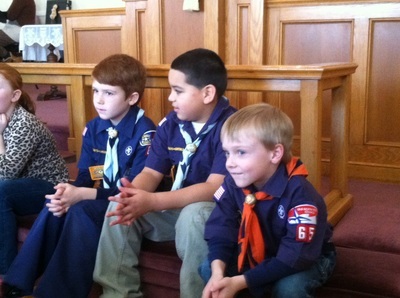 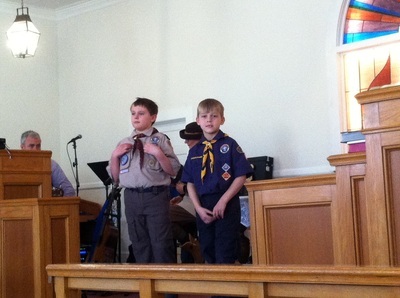 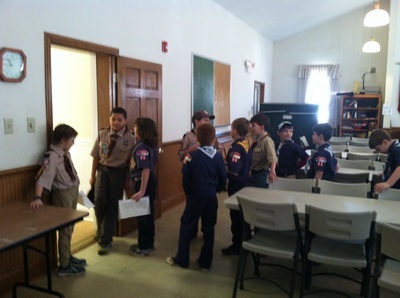 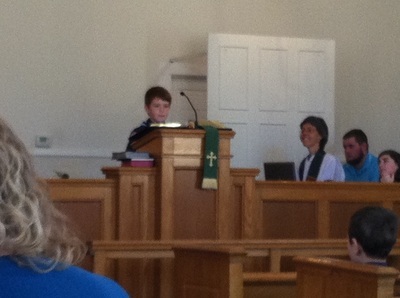 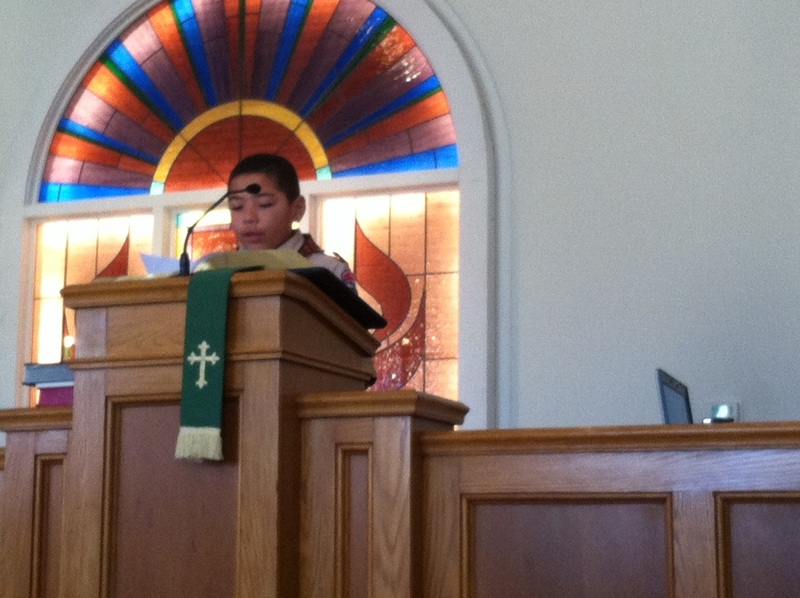 Scout Sunday was held February 8, 2015 we had 16 cub scouts and families come out to today. 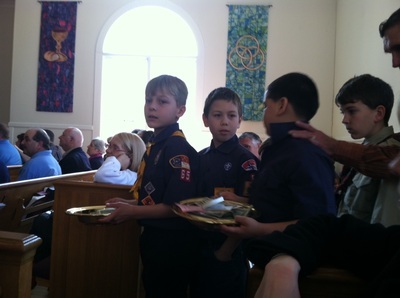 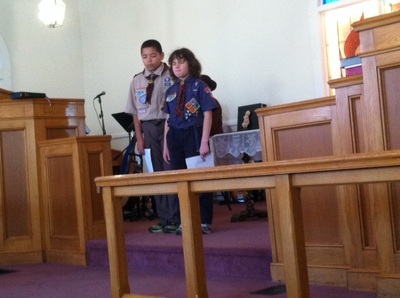 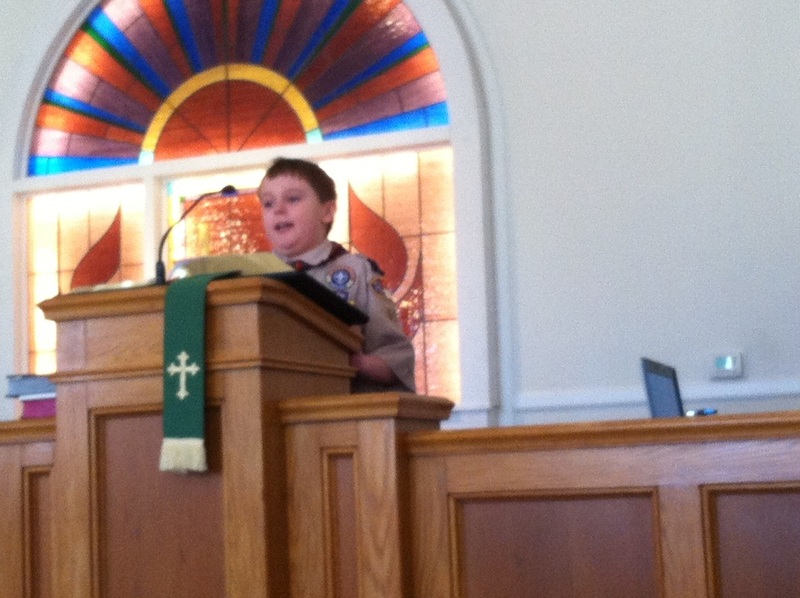 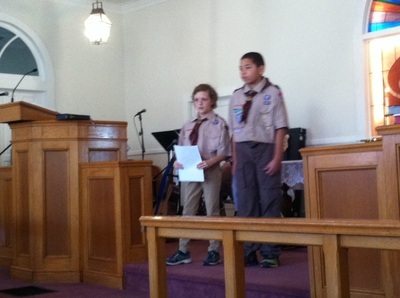 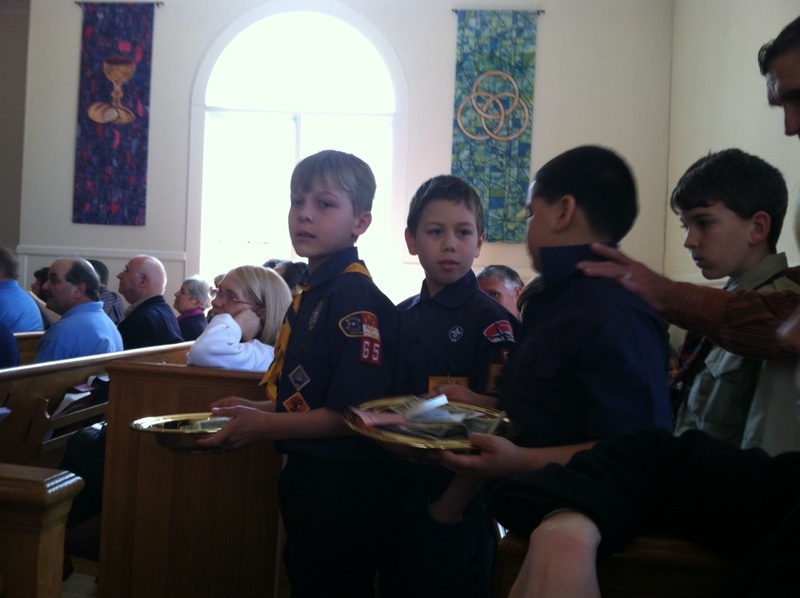 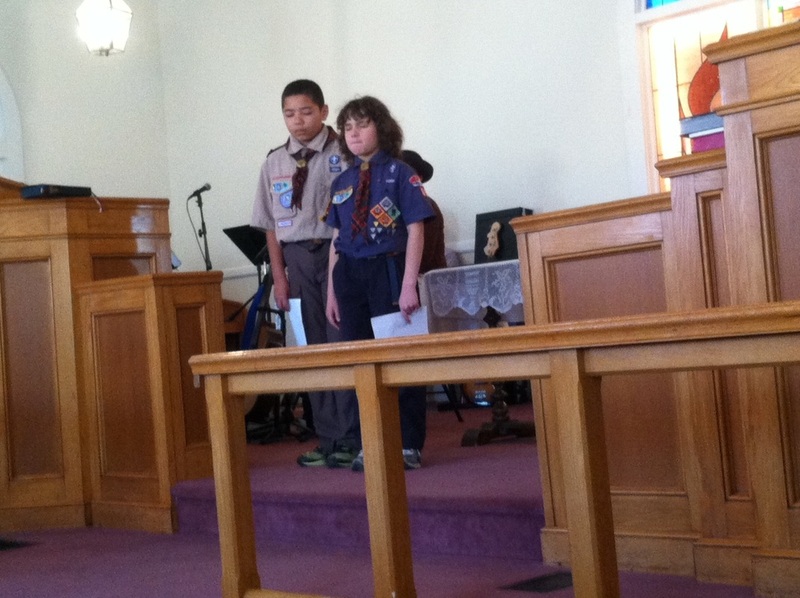 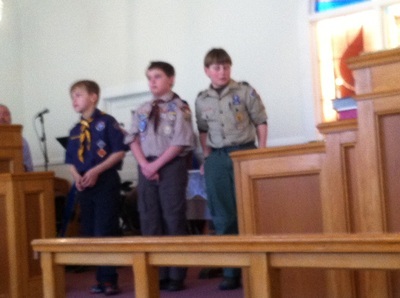 Awards were handed out to scout that finished their God and Country and God and Me programs. After the service the scout families together with the church held a pot luck lunch.